Die Suche nach einem gebrauchten REDOMATIC 800 ? 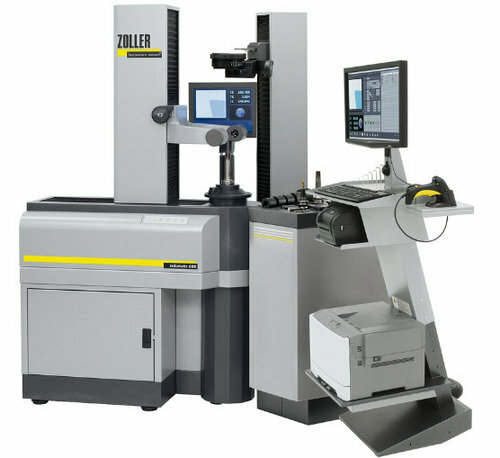 Since 1945, ZOLLER has had one focus - providing cutting-edge solutions for tool presetters, measuring and inspection machines and tool management software, smart cabinets and fully integrated automation solutions. Our North American Headquarters serves as the customer support, service, aftersales and software development hub for the USA, Canada and Mexico. We have gone to great measures to provide the best technology, highest quality, and exceptional customer service and support for our customers, who trust us to provide the best solution for their production and profitability goals. Our focus and commitment has made ZOLLER the world leader in tool presetting, as well as tool measuring and inspection machines. ZOLLER measures tools to two-thousandths of a millimeter -- quickly, simply, accurately and guaranteed! Accuracy means less waste, less CNC machine down time and more profit. 49 ModelleMehr erfahren überZOLLER Inc.
Mit Blick auf einen neuen Kauf ZOLLER REDOMATIC 800 ?